Ro Khanna to discuss current legislative activities at Lawson Middle School. Congressman Ro Khanna will be speaking at Cupertino’s Lawson Middle School on Jan. 26 from 11 a.m. to 12:30 p.m. in the Multipurpose Room. Ro Khanna is currently serving as the U.S. Representative from California’s 17th Congressional district. He will take questions from constituents in attendance, as well as discuss recent developments and current legislative activities in Congress. The event is first-come, first-served. Attendees who RSVP may still not be guaranteed entry. If you would like to RSVP, click here. For more information about the event, click here. 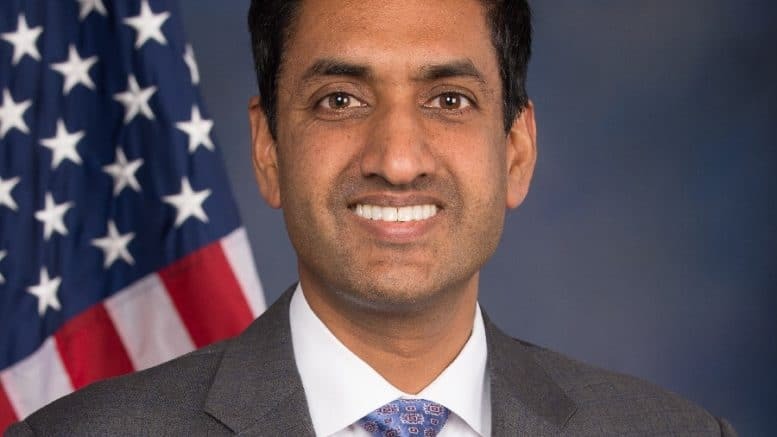 1 Comment on "Ro Khanna to visit Cupertino consituents"
I think it is awful that President Trump can not get Congressional cooperation to build a barrier on the southern border to protect American citizens. Why did Nancy Pelosi get so much support to become Speaker of the House when it is known she is a corrupt politician? Why aren’t you focusing more on making housing in the Silicon Valley more affordable to the people who are working professionals in fields like medicine and education? What are you doing to make our lives better?